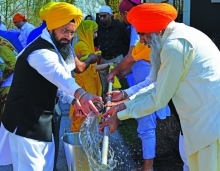 Every Sunday morning, a stream of local Sikhs flows into the gurudwara on Century Avenue. Out of the damp spring air they enter a tall, spacious building filled with the warm aromas of sweet and savory foods and spiced tea. The melodic songs that are a central part of their worship greet their ears. Their eyes are met by generations of people - some who came to Wisconsin from India, some who were born here - who all sit on the floor, regardless of economic or social rank, as equals, to worship a universal and unifying God. It is a crossroads of poetry, culture and faith. 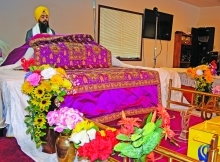 Upstairs, Paramjit Singh, the temple’s priest, sits on an altar behind the Sri Guru Granth Sahib, the Sikh holy book. The hymns and poems within it, which are meant to be sung - by themselves or accompanied by the rhythmic thumping of drums and the bellowing of a harmonium – fill an upstairs sanctuary decorated by a dazzling array of colors. A blood-caked shoe sits in a pool of viscous crimson, resting at the foot of an old metal locker. Several undead men in baseball uniforms mill about, waiting for their scenes. 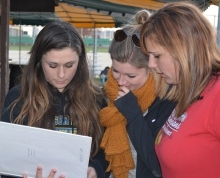 A few conspicuously alive people gather around a clipboard, reviewing their plans for the night of filming as darkness falls upon the Bowling Green athletic fields in the City of Middleton. 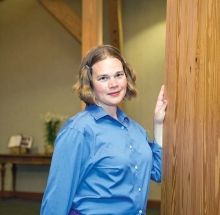 “If you are going to talk about motherhood, marriage, family and all they mean in various contexts, the best way might not be a room full of men,” says Rhonda Miska, a Middleton native, author, theologian and translator. That sentiment is at the heart of “Catholic Women Speak: Bringing Our Gifts to the Table,” a new book published by Paulist Press and launched earlier this month at the Pontifical University Antonianum in Rome. 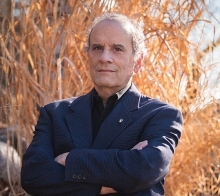 The book is the product of the Catholic Women Speak Network, an online forum for theological dialogue and collaboration, administered by the Digby Stuart Research Center for Religion, Society, and Human Flourishing at the University of Roehampton in London. “We are made up of 1,000 Catholic women from around the world,” explains Miska. 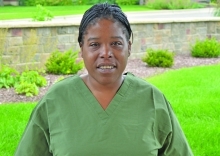 Karina De Lira awoke with a cough and smelled smoke. In the pre-dawn gloom, she saw her young daughter standing in the doorway of their second floor apartment on Allen Boulevard. “She was scared,” said De Lira, using her sister-in-law, Evelyn Cerez, as an interpreter. “There were people screaming and yelling for help,” she added. De Lira, who had arrived home from work shortly after 1 a.m. and gone to sleep, grabbed her three children and headed for the door. “When [I] opened the door, the smoke came, the fire came right at [me],” she recalled. They slammed the door and headed to the balcony. Faced with a crushing decision, De Lira picked up one of her sons and readied to drop him from the second-story to the relative safety of the ground below. It was, she thought, the only way to escape. De Lira said her son, in the fog of sleep, begged her not to. 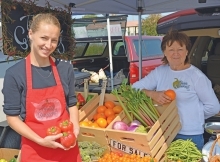 A Ukrainian family is forging a new life in America’s heartland, working the land together and embracing a vibrant, organic farming philosophy. Roksolana Viter enjoyed life in her native Ukraine. Living in Kyiv, the fifth largest city in Europe, she worked as an architect, creating modern designs and assuming that was what she would do for the rest of her life. Then, in 2014 Russia made several incursions into Ukrainian territory, breaking the 1994 Budapest Memorandum and throwing the region into a state of unrest, political turmoil and in some places, violence. Female artists are just better than males ones. That’s the way Tom Forrester feels, and that’s the principle on which his independent radio station was founded nearly a decade ago. But while it hasn’t always been easy, Forrester says he’s glad he opted out of his former profession and decided to pursue his dream. Middleton Police responded Tuesday, July 14 to a report of a deer killed by a car on Airport Road at Quisling Park. That, in itself, was nothing unusual in a region where deer are ubiquitous. 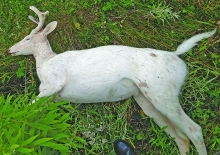 But this was no ordinary buck – it was a rare white deer. These ghostly creatures held special meaning for ancient cultures ranging all the way from Celts to Native Americans. “I was driving, and by the time I could reach for my phone and pull over, it was gone,” he added. While on vacation in Florida several years ago, Dan and his son saw some retired fellows walking the beach with metal detectors. The stories that those men told about their “finds” led the Roekles to purchase a basic detector when they got home. For the first year, Dan and his two children went to area parks. While his daughter played on the park equipment, Dan and his son took turns detecting. They felt like it was a good day when they found a quarter. Then Dan discovered a website by a group called The Ring Finders. It was created to help people get reconnected to lost wedding or other special rings. The Ring Finders offers a directory of people who love going out with their detectors to help in those recoveries. There is a small fee for the service to cover time and gas. Middleton resident Michelle Shamsee is asking the community for support to help get her life back on track after her car was hit by a man who allegedly robbed the BP gas station on University Ave and fled from police in a stolen car. According to Middleton Police, the robbery suspect led three officers on a chase through the residential area near Tiedeman’s Pond, just off Gammon Road on May 31. Shamsee’s car sustained $10,000 in damages and her insurance had lapsed at the time of the incident. The auto owner’s insurance of the stolen vehicle will not pay anything because damages caused by theft are not covered in their policy. Shamsee is entitled to restitution but will not likely receive anything from the defendant. “Getting restitution from a person who isn’t working and is stealing a car is like getting blood from a turnip, it’s not going to happen, and meanwhile I’m still without a car,” Shamsee said. The air was thick with pesticides and the shouts of children. Adult voices hurdled down from apartment windows. Gang members, merchants, cops, priests and mothers lived side by side, playing out their individual dramas on concrete stages of streets and stoops. They learned to make enough eye contact to seem tough, but not enough to invite a beating.